My wife and I thoroughly enjoyed our stay here. The staff were excellent. The food was way better than any all Inclusive I have had before. We ended up having all meals in the hotel and didn't eat out at all. It wasn't the same thing again and again like it is a lot of all inclusives. Great variety from one day to the next. Our bathroom had been recently renovated and was very nice. Victoria. The entertainment person was amazing. So was the barman. But I would say that all the staff were brilliant. The breakfast staff to the dinner staff really cared. We had a wonderful apartment. I can honestly say we felt welcomed, safe and happy. Pool area was nice. Good and various food and good drinks. Good service. Great view. Restaurant and bar personal were fantastic. Studio room was a bit on small side but we had a great little balcony so you could sit outside ( room 825 ) in evening while other half was getting ready . A lot of steps around the accommodation so if problems with walking I would stay elsewhere . It was execelent! Great hotel with amazing people there. We will come there one more time! The staff were excellent, friendly and cheery. Great variety of food and very tasty. There were two vegans in our company and they also had a great choice of food. The rooms were basic but very clean and very comfortable bed. Most of the (external) entertainment was excellent. The reps worked very hard to ensure we were entertained during the day and night. 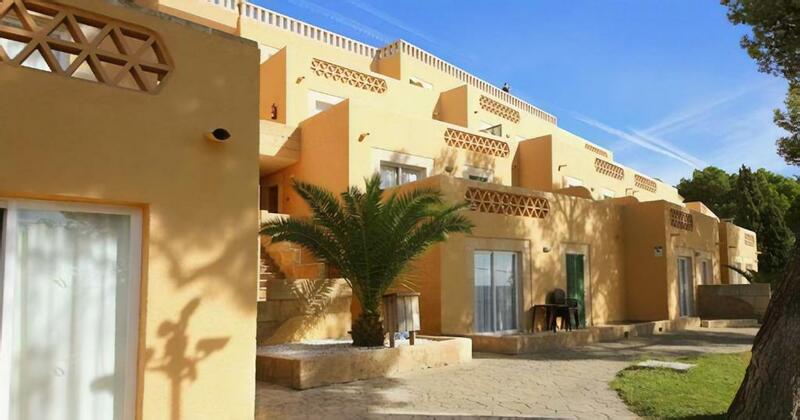 Lovely spacious 1 bed apartment with a huge balcony and sea views. Staff at the hotel are all very friendly, lots of choice of food in the restaurant, bar staff are lovely. Fantastic place to stay would highly recommend. Under 10 minute walk to a fabulous beach, get a taxi back save walking up the hill for only 3 euros. Lock in a great price for Club Santa Ponsa – rated 8.4 by recent guests! 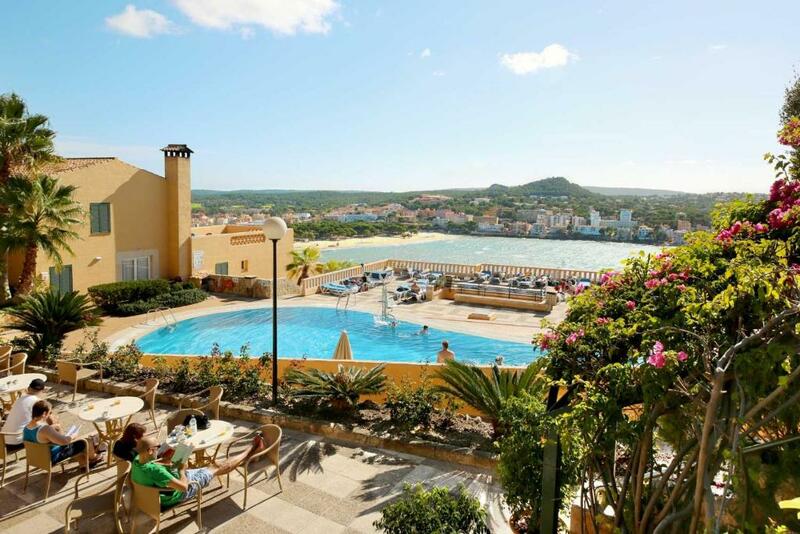 Club Santa Ponsa This rating is a reflection of how the property compares to the industry standard when it comes to price, facilities and services available. It's based on a self-evaluation by the property. Use this rating to help choose your stay! 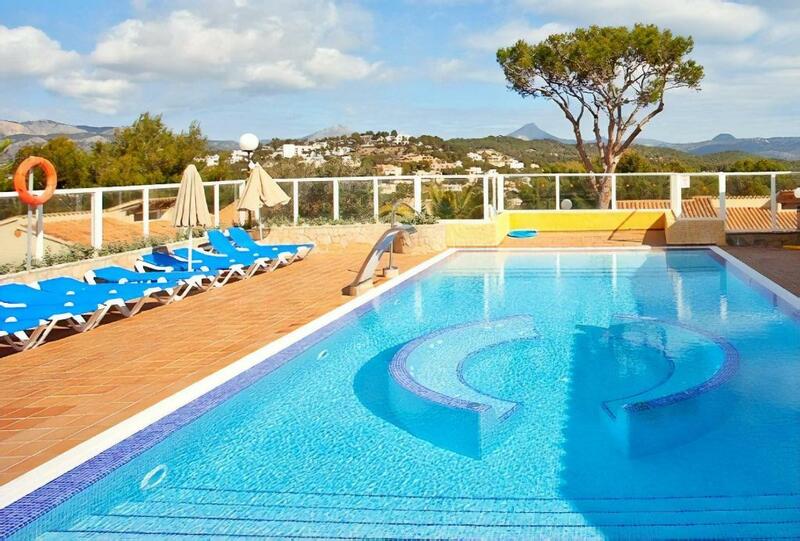 Boasting a stunning, hill-top location, with panoramic views of Santa Ponsa bay, this apartment complex is surrounded by extensive gardens and pine trees. 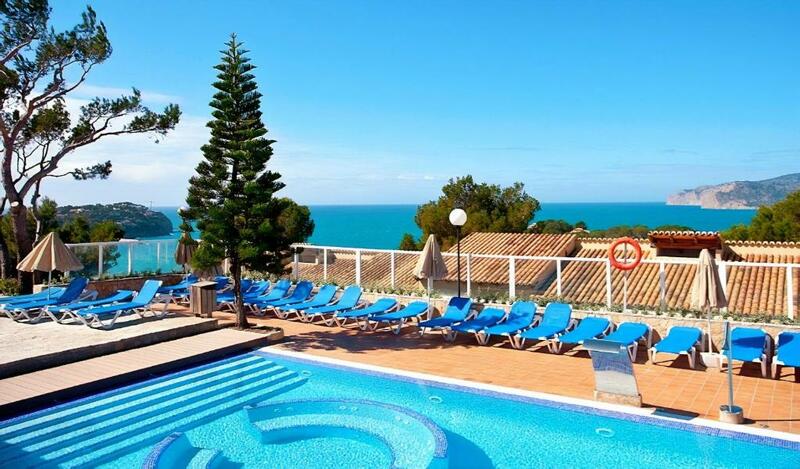 Enjoy a refreshing dip in the large outdoor swimming pool in Club Santa Ponsa, and then relax and soak up the sun on one of the sun loungers surrounding the pool. Each of the apartments comes with a dining room, a large, private bathroom and well-equipped kitchen, where you can prepare your own meals. Admire the views from the large terrace or balcony of your apartment. Club Santa Ponsa also comes equipped with a restaurant, where you can dine with all the family, followed by a drink in the on-site bar. The hotel offers a shuttle service to the beach from Monday to Saturday. 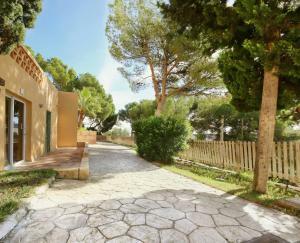 뀐 Located in the top-rated area in Santa Ponsa, this property has an excellent location score of 8.4! When would you like to stay at Club Santa Ponsa? 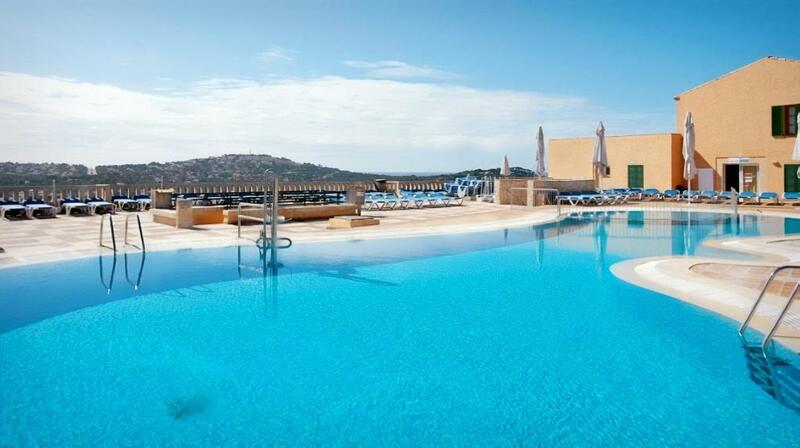 These spacious apartments have a balcony or terrace, most with views of the bay. They have a bedroom, a bathroom and a living area with satellite TV and 2 sofa beds. The kitchenette comes with an electric stove and a large fridge. This studio has a balcony or terrace with views of the bay or the mountains. They have a sleeping-living area with satellite TV, a dining area with a sofa bed and a bathroom. The kitchenette comes with an electric stove and a large fridge. 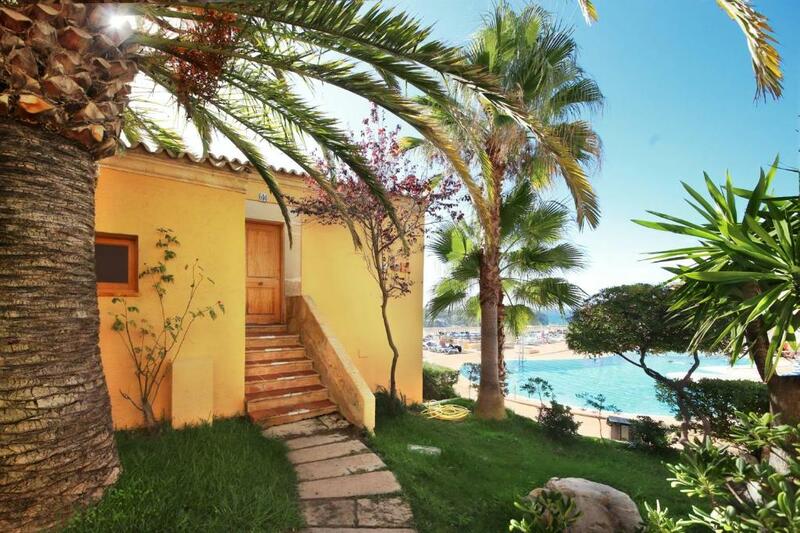 These spacious apartments have a balcony or terrace, most with views of the bay. They have a bedroom, a bathroom and a living area with satellite TV and 2 sofa beds. The kitchenette comes with an electric cooker and a large fridge. Guests traveling with children must indicate the ages of the children in the Comments box when booking. This studio has a balcony or terrace with views of the bay or the mountains. They have a sleeping-living area with satellite TV, a dining area with a sofa bed and a bathroom. The kitchenette comes with an electric cooker and a large fridge. House Rules Club Santa Ponsa takes special requests – add in the next step! Club Santa Ponsa accepts these cards and reserves the right to temporarily hold an amount prior to arrival. Guests traveling with children must indicate their ages in the Comments box when booking. Please note that the shuttle service to the beach does not operate on Sundays. There was no 'VENTILATION' for the bathroom / WC. Juice machine had very synthetic taste juices. In November, not so much to do if you stay in hotel, pool is cold, floors are cold and not much entertainment is going on, but it is very nice place if you are traveling for the day, and come to the hotel for the time of dinner. Also be prepared that in the Santa Ponca and other resort cities nearby, in autumn most of the places, shops, cafes, etc. are closed. Poor quality food and drink. Chaotic restaurant with not enough seating. The table tennis and pool table was above our room making it a very noisy stay as the teens hung out there. Sounded like a herd of elephants from our room - also overlooked our balcony so couldn’t sit in peace as constant screaming and shouting and balls flying over onto us. Beautiful setting and amazing staff. Terrible beds, could feel the springs. There were no towels for the pool. Have always had that on All Inclusive hotels before. Safe should be free when All Inclusive. My definition of All Inclusive is everything included . If you want water you are given a glass . Bottled water has to be bought although we had a very late check in ( 2.00am ) and they had left a small bottle of water each in fridge along with a salad and roll ( nice touch ). Room safes are at extra cost also . If you decide to sunbathe at spa pool then you are required to walk to main bar for a drink which is served in a small plastic glass until 16.00pm . I had food poisoning while staying at this hotel ,ended up at the emergency room and the way that the hotel handled the situation was extremely disappointing.I have seen no compassion from them. They firmly denied that I could have gotten food poisoning from their restaurant, but the food poisoning occurred on the 3rd day of stay ,lasted for only 1 day-so it wasn't a virus as the staff said it might be- and I haven't eaten or drank anywhere else, only at their restaurant, but during that day when I felt sick I felt that there was a thing that I ate in the morning that I couldn't digest.The next morning my husband had food poisoning as well,so we both had to go to the hospital and have an injection. For this inconvenience we were offered later check-out which was useless as we left the room at 9pm because we were waken up by the ladies that did the cleaning at 7:30 am on a Sunday!!! Leaving the food poisoning aside, the selection and taste of food was average.Nothing special and there's a very limited choice of drinks. If you want bottled water- which I would highly recommend - you have to pay extra! If not you will receive for free only tap water. Even the drinks and cocktails come from tap- mojito, sangria, etc. nothing can be made on site and with natural ingredients,because even the staff serving them said that they do not have them! (ex: they didn't have mint and lime for mojito) I have also attached a photo of the 'mojito' that they offer This was for sure the worst holiday I have been on and after paying the price that we paid - 547£ for 3 nights -, I was for sure expecting more!!! After leaving this hotel we went to another one in Cales de Mallorca for the last 4 days of our holiday and even if it was cheaper and still all inclusive as this one, we were 10000000 times more happy with that one!I cannot even compare the services provided and how professional they were! Never going to Club Hotel Santa Ponsa ever again! Nothing bad to say at all really but if I had something, I guess the mattress could have been a little better. People smoking!!! If possible have a smoking area as the smokers, and there were lots of them, had no respect of those who didn't smoke!! !